You know that old nightmare that we all get once in a while where we find ourselves taking a test we haven’t studied for? I’m not saying this is exactly what’s been going on at Bentley, but a new emissions standard and unpreparedness on the automaker’s part resulted in a €137-million company loss for the first nine months of this year. Damn. A new vehicle emissions and consumption standard called the Worldwide Harmonised Light Vehicle Test Procedure, introduced in Europe on Sept. 1, caused Bentley “catastrophic” delays in sales because it wasn’t ready to pass the new tests, reports Automotive News Europe. The result was a loss of €137 million, or approximately $155 million. The cars were “stuck in the queue” for testing under the new WLTP regulations, thus delaying things like bringing the hybrid Bentayga to market and rolling out the new Continental GT. 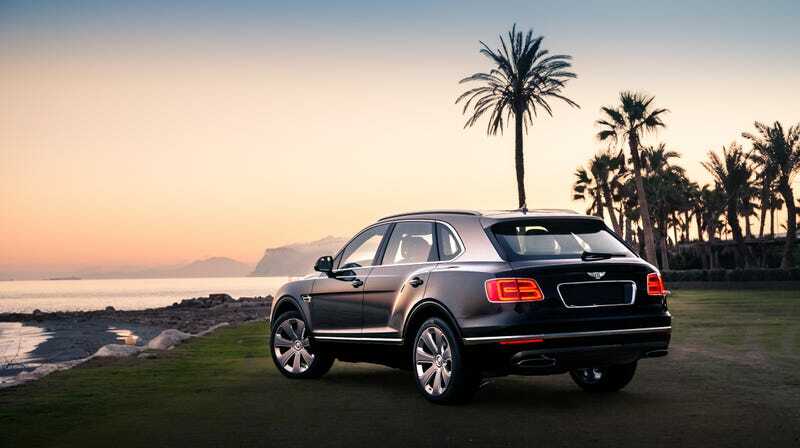 These delays affected about 300 to 400 Bentayga sales, Hallmark said. Global sales took an 11 percent nosedive in the first nine months of this year as well. I’ll take your word for it, bud!